Discover why Attraqt has been nominated for the Online Solution of the Year. Attraqt’s ground-breaking work with Harvey Nichols was recently shortlisted for a renowned award that celebrates innovation and success in online performance. Our work with this exclusive retailer delivered a range of standout results in just 4 weeks by boosting Harvey Nichol’s category to product conversions by over 31% while increasing mobile click-through rates by 23%. These impressive results received recognition from key retail publications when they were announced earlier in the year, but have since been noted by industry experts at the Retail Systems Awards, who nominated the case study for their ‘Online Solution of the Year’ prize. This accolade has been designed to commend eCommerce solutions that deliver game-changing client results, reflecting the remarkable work that Attraqt has completed for Harvey Nichols using its dynamic Attraqt Fredhopper solution. The Retail Systems Awards is an industry-recognized annual ceremony that has been running for over 12 years. They were introduced by the Retail Systems online magazine, which specializes in covering the latest news and developments in the retail technology sector, which Attraqt is a key part of. The Awards work to showcase the achievements of leading retailers and eCommerce providers who have brought excellence and innovation to the retail sector through smart technological processes. A range of influential names have received prizes at the awards over the years, including household-name brands such as Café Nero, Hilton Hotels and the Lloyds Banking Group, as well as eCommerce solution providers like Poq and Increasingly. High standards naturally define the awards given the diverse range of notable brands who have previously scooped the prizes. It is therefore no surprise to see that Attraqt was up against stiff competition when it came to securing the ‘Online Solution of the Year’ award this year. The award winners were announced at a Gala dinner and ceremony on the 27th June 2018, which was held in the heart of London at the Waldorf Hilton hotel. Unfortunately, Attraqt was pipped to the winning post by eCommerce conversion tool Yieldify, but we were still very proud to be nominated for the prize, and greatly enjoyed the chance to celebrate with the team at the ceremony. 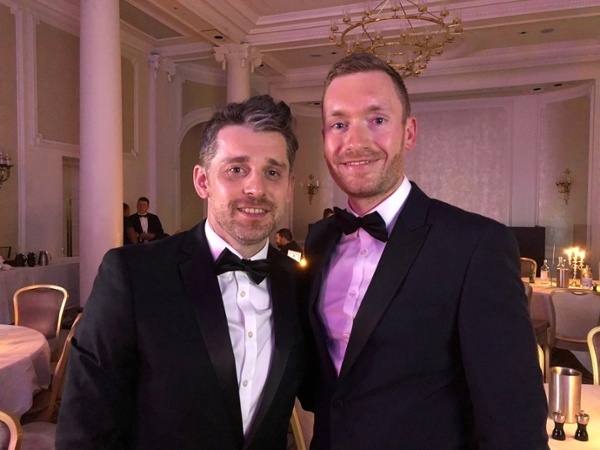 Gregorie Bertrand, our UK Sales Director, and James Wilson, our Head of Product Management were there to represent in their rather suave outfits. For more information on why we were nominated for the Retail Systems Awards, you can visit our Harvey Nichols case study feature, which documents the processes that we took to deliver exceptional results for this iconic fashion brand.